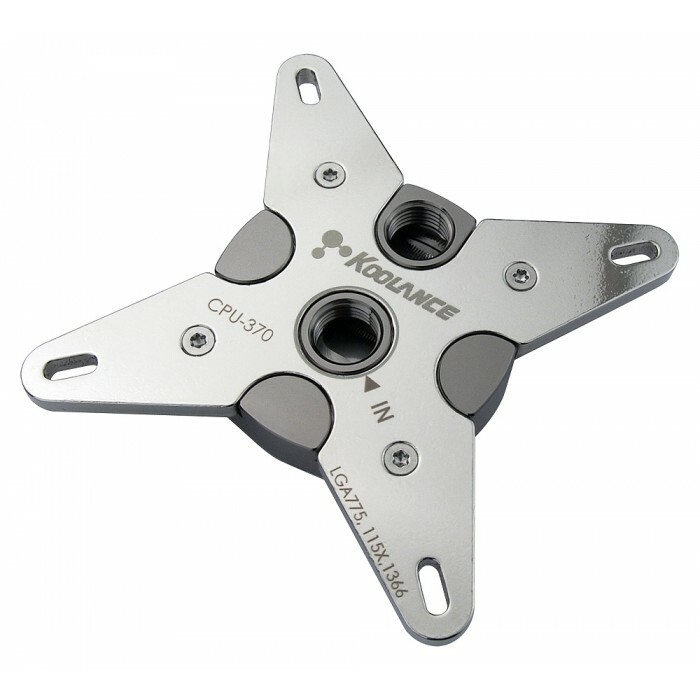 The CPU-370 contains an advanced microfin cold plate (0.25mm fins, 0.30mm channels), o-ring sealed impingement plate, and an optimized flow path minimize coolant restriction. The CPU-370 contains a copper cold plate with brass top. 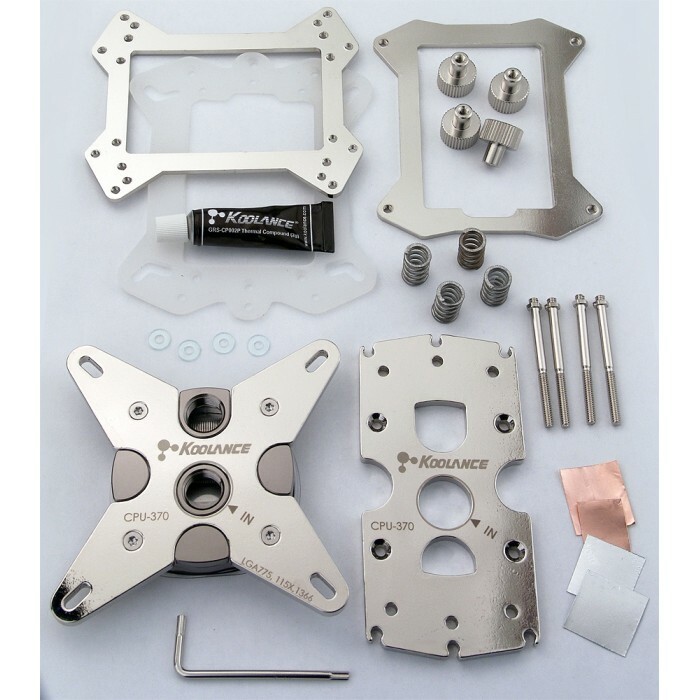 As with all Koolance products, nickel plating is added to improve corrosion resistance. 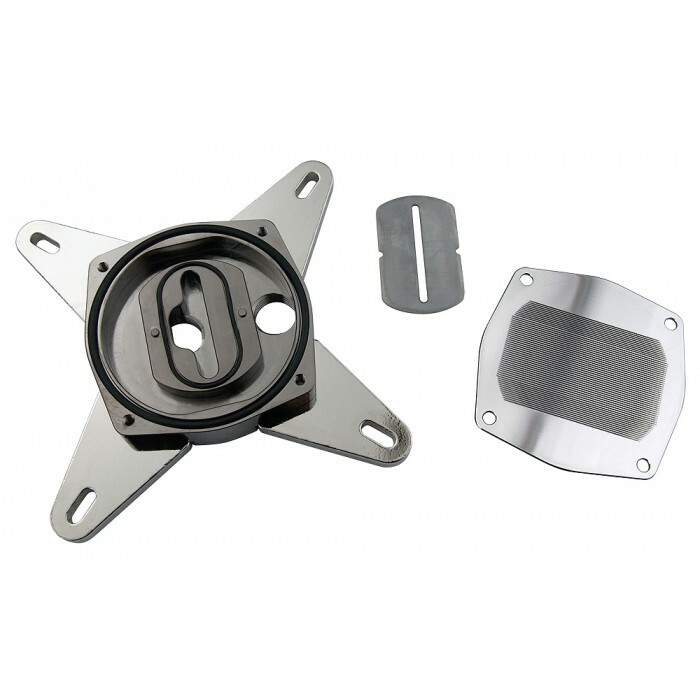 Two universal steel mounting brackets are included for mainstream Intel and AMD processors. The CPU-370 has standard G 1/4 BSPP threading for any Koolance fitting diameter. 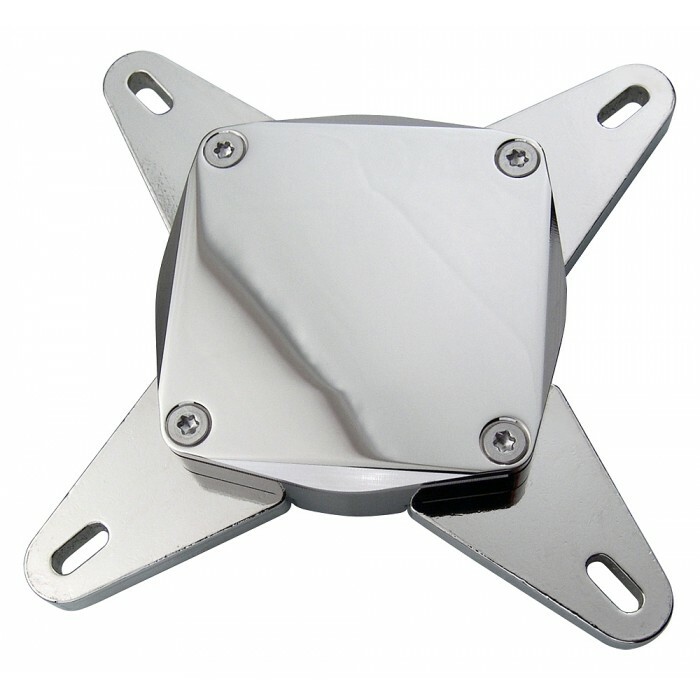 Fitting sockets are placed far apart to allow for extra wide compression fittings. Please select the desired fitting type for this base model (it does not include fittings). With its sharp ROG style, the ROG Hybrid Thermal Solution is more than just a VRM cooler: it combines a 100% copper watercooling channel with electroplated nickel barbs and an integrated heatpipe, all wrapped in air-cooling fins. With the choice of both water-cooling or air-cooling, Hybrid Thermal Solution delivers the ultimate add-on to achieve that OC advantage.